Having been vindicated in a court of law in his sexual assault case, Jian Ghomeshi spoke out for the first time since the ordeal began and announced he is starting a new podcast in which he will investigate what really happened to these women and who was truly responsible. 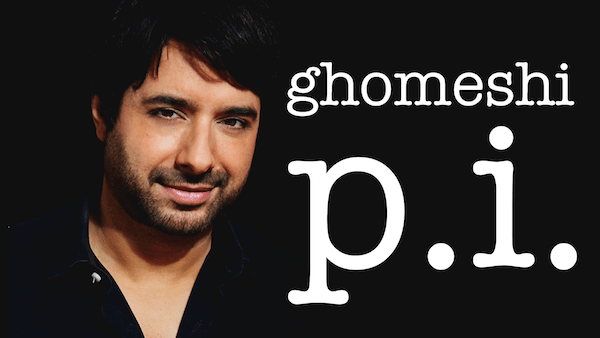 Called “Ghomeshi p.i.”, the independently produced podcast will come out once a week, and mainly feature Ghomeshi interviewing witnesses and experts as he investigates who really choked, slapped, punched and yanked the hair of those women over the years. It’s kind of like Serial, but with a more personal touch, he said. Ghomeshi said he’s trying to keep an open mind and is leaving all possibilities on the table. Early episodes will explore possibilities such as whether he has an evil twin brother, whether someone might have had their face surgically altered to resemble his, or whether it really was him, under some sort of mind control by the government or other outside forces. Ghomeshi said he hasn’t yet interviewed Lucy DeCoutere or the other complainants in the recent case, whose names are protected by a publication ban, but that his podcast wouldn’t be complete without giving them a chance to have their say. He suggested he may have a third party conduct those interviews because of the sensitive nature of the situation. “I don’t want to cause them any undue pain,” he said. The list of other staff involved in the show hasn’t been released, but Ghomeshi said he has a “cute little intern” producing for him. Too early for a call back. Apparently he got this idea from O. J. Simpson who said he would be looking to find the real killer of Nicole Simpson.